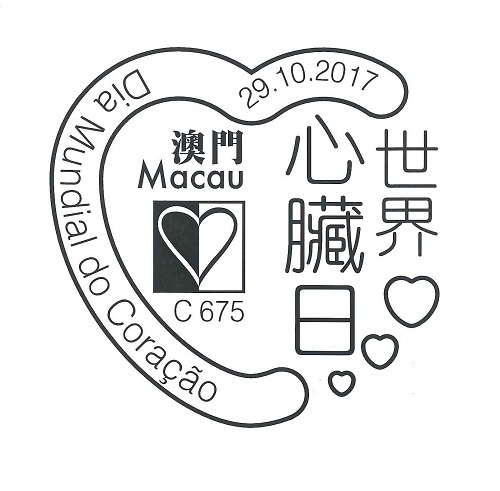 To commemorate the World Heart Day, Macao Post and Telecommunications Bureau announces that a Temporary Post Counter will be set up at Avenida do Comendador Ho Yin, Bestway Garden, G/F, at 15H30 to 18H30 on 29th October 2017 providing the commemorative postmark cancellation service for the “World Heart Day”. 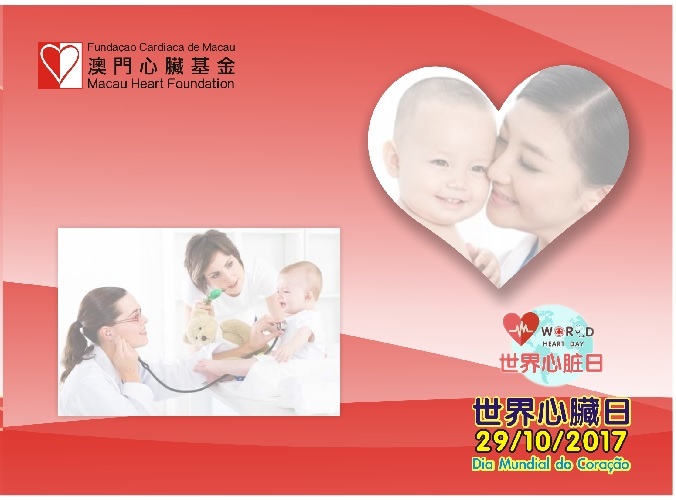 On that day, Macao Heart Foundation will sell the commemorative envelope and a cover, priced at 15.00 patacas and 20.00 patacas at the mentioned location. The revenue will be for the charity purpose.